During your stay the International Union of Youth (MSM) will organize a cultural program which includes-entertainment events and trips in Europe. Traveling is one of the most exciting activities that you can experience nowadays. Czech Republic is located right in the heart of Europe which makes travelling to other cities easier and more affordable than anywhere else. Here is a quick overview of destinations and trips that we organize as part of our program. Excursions are included of all MSM programs. They are designed as an additional component to the experience of studying abroad. Transfer and guided tours are included in the price. In case if the trip takes more than 1 day, hotel accommodation and breakfast are also included. Additional optional tours may be offered as well. Berlin is the capital of Germany and a famous center of modern European history. It is one of the most progressive cities in the world as it combines inspiring history and modern energetic lifestyle. As a dynamic center, where East meets West, Berlin serves as the headquarters for German and international business, politics and culture. Many large EU corporations establish their head office in Berlin. Berlin is a vibrant focal point of contemporary art with its numerous museums, art galleries, theaters and music halls. Every year Berlin hosts the International Art Forum and the Berlin Film Festival. This has made Berlin a popular center for youth enticing many German and international artists to move, settle and work in this city. Berlin has become one of the most popular tourist destinations and surely teh point you need to include to yours trips in Europe. Tourists and visitors find themselves immersed in a new multinational culture. 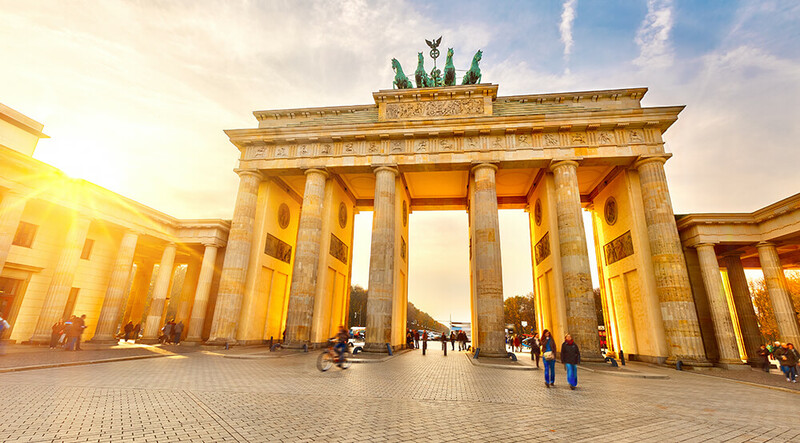 Berlin has a unique spirit which offers something special for everyone, whether it’s the fascinating architecture, first class design, bars, restaurants, lively nightlife, historical sites or modern exhibitions. The collaboration of inspiring past, exciting opportunities of the present and promising possibilities of the future will make unforgettable memories for everyone who visits this city. Visiting Berlin will reward you in ways you have never dreamed before. Munich, the capital of Bavaria, in Germany, was founded in the 12th century. Like many German cities it suffered greatly in the Second World War and had to be almost completely rebuilt since then. Today it has transformed into a beautiful, modern, dynamic city with the most powerful economy and the lowest unemployment rate in Germany. There are plenty of historical, interesting and unusual places to see in Munich. Among those are stunning – Baroque style churches, wonderful parks, gardens, museums, palaces and modern shopping centers. 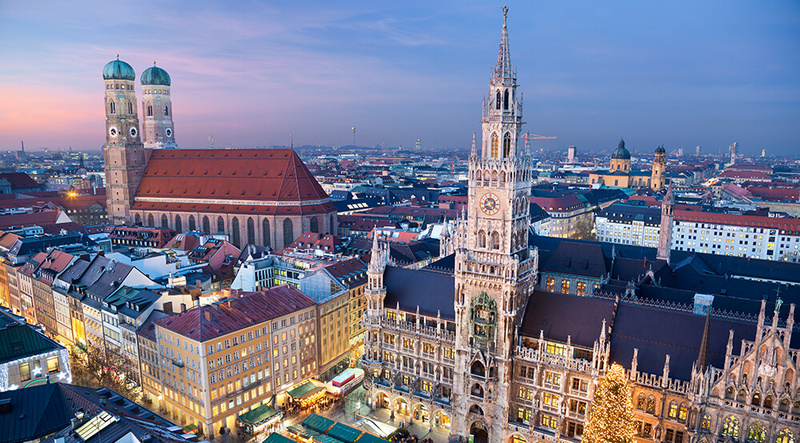 Munich is well- known for Oktoberfest, the famous beer festival which has been held here every year for more than 200 years, attracting thousands of beer-lovers from all over the world. As a part of our MSM trips in Europe we make it possibe to visit the world-famous BMW Museum. The permanent exhibition which tell us about the amazing history of BMW is spread over some 4000 m², displays hundreds of automobiles, engines and motorcycles. The unique design of the museum will leave breathless even those who are not interested in cars. Fascinating architecture, a constantly updated exhibition and an impressive entertainment program will make remarkable memories for everyone. Dresden is another city with an impressive background that is definitely worth visiting if you are makind the trips in Europe. Perhaps you will not find Dresden in the places to visit in the world but this makes it a perfect location to go to if you prefer to stay away from crowded mass tourist sites. Dresden is a beautiful charming city with its own unique and somewhat tragic history. In the Second World War, Dresden was completely wiped out by the aerial bombing, so the historical center had to be carefully rebuilt with the help of old maps and plans. Until the 1990’s Dresden was a part of Eastern Germany and it joined the rest of the country after the fall of the Berlin Wall. During this period of the East German socialist era, the vast urban growth also made a certain negative impact, which considerably changed the face of the city. 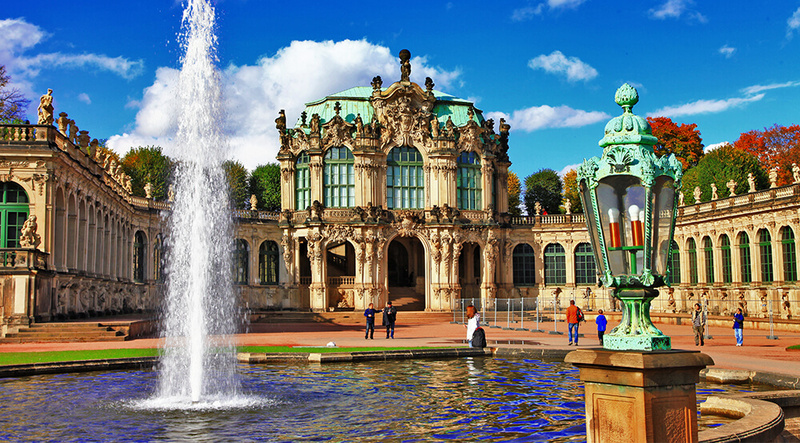 Dresden is the capital of the Free State of Saxony. Historical evidence portrays it as the main royal residence for Electors and Kings of Saxony, who decorated this city with cultural and artistic splendour throughout the centuries. Art admirers will fall in love with the Gemäldegalerie Alte Meister (Old Masters Picture Gallery) and Grünes Gewölbe (Green Vault) museum which hold one of the widest expositions in the world echoing with the contrasting combination of styles of the cityscape. Dresden was home to Wilhelm Wagner, the opera composer who worked here in the 1800’s. Today independent operas continue to share his art by hosting classical and modern shows on their stages. Situated along the banks of the Elbe River, Dresden is one of the greenest cities in Europe, beautifully framed by forests, gardens and parks. Although Dresden has experienced dramatic changes since the reunification of Germany in the early 1990s, it has transformed into a charming, convenient modern European city and in 2006 it celebrated its 800th anniversary. Vienna is the capital of Austria, with the population of almost 2 million citizens, also one of the must seen places in our trips in Europe. Since its foundation in the III century, it has portrayed as a bridge between a thousand cultures. Vienna is an EU member state, situated on the Danube River, and not far from the Alps. In 2010, Vienna was rated as the city with the highest quality of life in the world. It is no surprise, considering the fact that it hosts a vast amount of international organizations, together with its historical role in music and art. In Vienna, you can discover impressive cultural opportunities, like nowhere else, with its numerous concerts, exhibitions, art galleries, museums and parks! 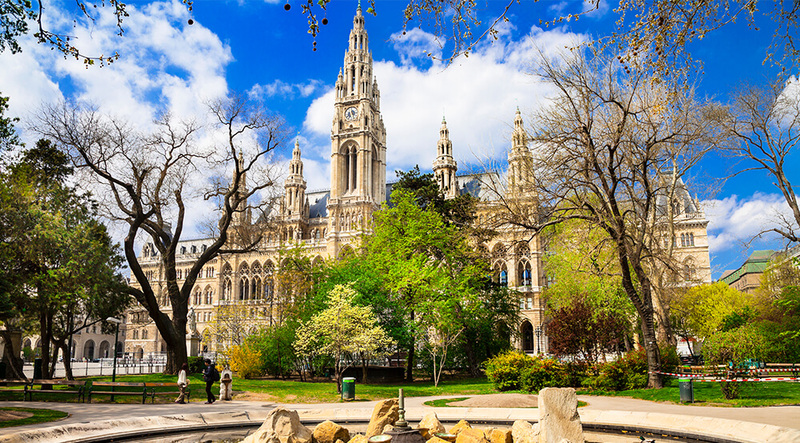 Everyone can experience the mix of European cultures in Vienna, where the elegance of the Habsburg Empire complements the modern diplomacy of the United Nations. Every visitor will surely appreciate its astonishing combination of cultural beauty and modern international political development. Get acquainted with a local ritual and pay a visit to a neighbourhood coffeehouse. Delicious coffee, tasty national dessert – Sacher cake – in combination with the spacious, yet gracious and welcoming interior decor, will melt your heart and feed your soul. Between coffee breaks, MSM students will have an opportunity should explore Vienna’s Schonbrunn and Imperial Palaces. Beautiful Paris is the capital of France. This charming jewel attracts people from around the world as the centre of high art, fashion and food. 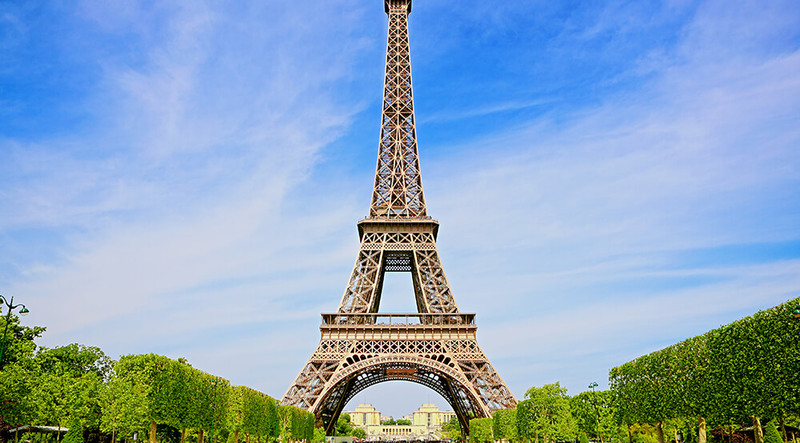 Many see Paris as their dream destination in trips in Europe. Disneyland, Louvre, the Eiffel Tower and Versailles are just some of the top attractions of this city. Every year Paris is visited by an average number of 18 million people who want to see it in person and students of the MSM educational programs are happy to be one of them. Paris has almost 2000 year history and as many old European capitals is an open air museum. It has started in 52BC at Ile de la Cite and was a home to a small Gallic tribe, the Parisii. The area has changed dramatically since then. Today Ile de la Cite is famous for the Cathedral of Notre Dame de Paris (built from 1163 on the site of Saint Étienne church and old sacred pagan site from the Roman era) and Sainte-Chapelle (royal medieval Gothic chapel built for king Louis IX in 1239). Today more and more modern business quarters appear in Paris city borders, making it not only a cultural capital, but also one of the leading economic centres in the world. 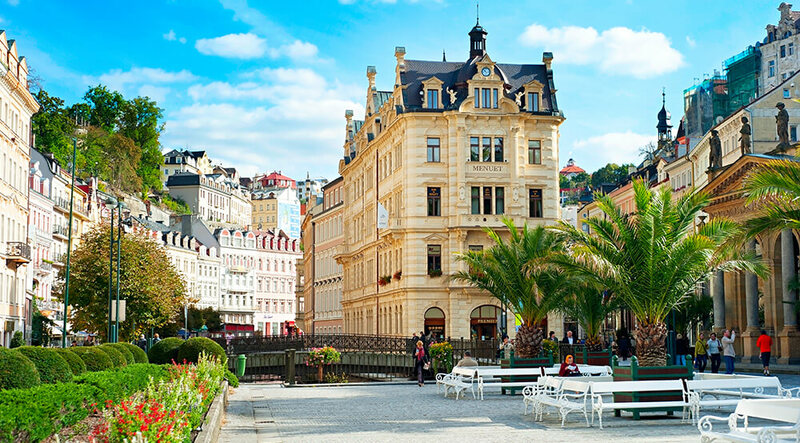 The town of Carlsbad (or Karlovy Vary) is situated about 120 km from Prague in the western part of the Czech Republic where the rivers Teplá and Ohře (Eger) merge. This city is a world known health resort hosting the best spas in the world. This town was founded by Charles IV in the XIV century. According to the legend, the emperor built the city after an accidental discovery of thermal springs. From the XVI century, this spa center was honoured with visits of many noble families and wealthy citizens. Due to a great number of natural disasters, only a few buildings have survived from those times. The golden Age of Karlovy Vary was in the XVIII and XIX centuries, and many local landmarks were built during that period. Many tourists come to visit cultural and sporting events that the city hosts throughout the year. One of the most popular social events is the Carlsbad International Film Festival which attracts professionals and Hollywood stars as well as amateurs and movie fans. Furthermore, Carlsbad often hosts filming crews that shoot their best scenes on the city streets. Casino Royal, one of the James Bond movies, is a striking example. On top of everything some of Carlsbad’s landmarks have gained international reputation and recognition: such as Becherovka, Moser and Thun.